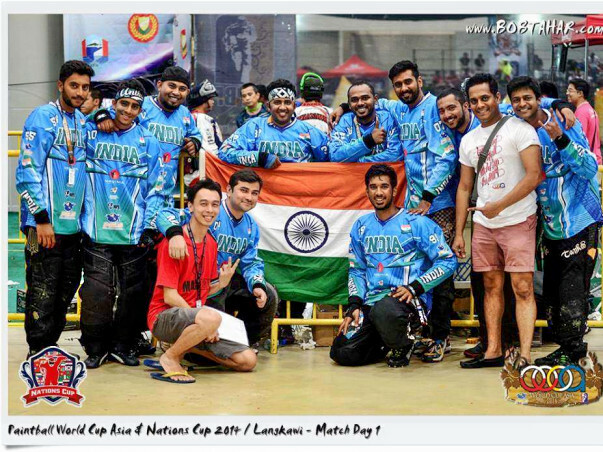 We are a very small group of people from Chennai and Bangalore who have been exposed to Paintball at international level.we have been representing our country for the past 9 years at the world cup Asia that has been happening in Malaysia. The team includes a farmer, a tattoo artist, a paintball field worker and few students. All these years we have spent our own money on equipment, training, travel and tournament expenses. we have won a tournament in Dubai and have played at the highest level against top teams like USA, Germany, South Africa to name a few. We even stunned South Africa by being 3-1 last year in the World Cup. All this we have achieved with the least amount of infrastructure and support in India. Paintball is yet to be considered a mainstream sport in India and we get no funding from any company to participate in International tournaments. We now come to all of you for Support. We need to update our equipment since we have all outdated gear. We also need funds for participating in the upcoming World Cup Asia to be held from November 9th till 12th. We appreciate any help you can give us. Thanks to our supporters, the Indian paintball team did very well in last year's world cup Asia. We have a new bunker set in India so we are sure to do better this year. Thanks a tonne for making this possible. The team would like to express their gratitude for the generous contributions from all the contributors. However, they still require funds to successfully compete in the upcoming matches. They’re currently under practice to compete in the ASEAN tournament in March 2017 which they’ve financially coped up with the help of personal and several funds received from others. We thanks you all for your amazing support and donations ! We had a wonderful World Cup 2016! We were up against USA(champions) and Singapore but we managed to up our world cup ranking from No.17 to No.10 this year. Go India!! !make us all proud..
All the best... win the trophy - Jai Hind ! !